Bayern Munich have tied Kingsley Coman down to a new five-year contract following an impressive start to the 2017/18 campaign from the France winger. 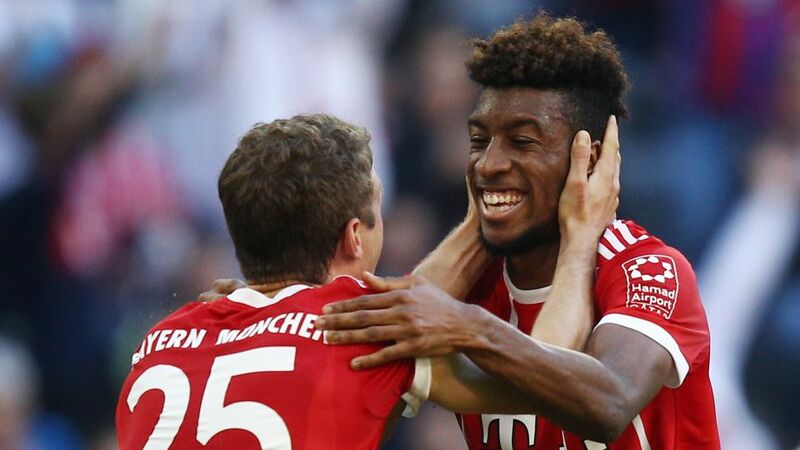 Coman only started 10 Bundesliga games last season as Arjen Robben and Frank Ribery hogged the headlines – and the wide positions – but he has been first choice under Carlo Ancelotti and now Jupp Heynckes this term, with his raids down the left drawing widespread acclaim. "I’m really happy that I’ll be playing for this club for a long time to come. I feel at home at Bayern and in Munich," the Frenchman said on putting pen to paper on his new deal. "Kingsley Coman has shown fantastic progress this year and has rightfully become a senior France international while at Bayern," said sporting director Hasan Salihamidzic. "We’re pleased to have tied Kingsley down to a long-term contract and are convinced he’ll become a true great at Bayern in the future." Coman has three goals and five assists in all competitions for Bayern, and is likely to make his 10th start of the season when the Bavarians get their Rückrunde underway against Bayer Leverkusen on 12 January.